Whether you’re thirsting for a decent brew or want to fit in a dose of culture during the drive, transform your next road trip with a #goviahertz detour en route to your final destination. Here we highlight 21 awesome stop-offs for the bonniest of adventures. On your way north, drop in for tea at Glasgow Botanic Gardens. The Tearoom serves up classic afternoon treats and their homemade fruit scones are the real deal with clotted cream and preserve. Dear Green in Glasgow hosts pop-up collaborations with local crafters on a regular basis, so you can combine culture and coffee in one pitstop. 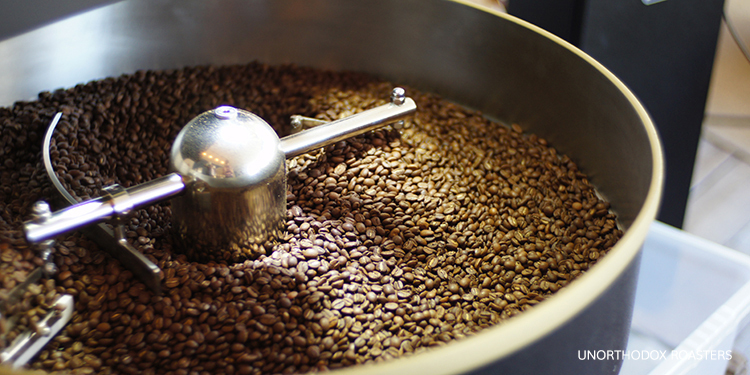 They have delicious Kenya Jokambu (a juicy complex coffee) from their sourcing trip to Africa earlier this year, but don’t expect any milk as they don’t agree with milk production. Hello, Americano! Seven Lochs is a beautiful park just outside Glasgow. It’s perfect for breaking up a long journey, with plenty of walking and cycling trails. Head to the historic Proven Hall House for a bit of a culture fix. Or just go wildlife spotting in the wetlands. This is an amazing museum for learning about Glasgow’s rich past, set on the banks of the River Clyde. With some of the finest vintage cars and locomotives to admire, you can even immerse yourself in an old Glasgow cobbled street with real shops dating from 1895 to 1980. One of the most popular cafés in Edinburgh is only 6 miles from the M8. It’s a great fuel-up stop, especially if you’re heading towards the M90 or M9, as they roast their own amazing coffee and have an ever-changing lunch menu. 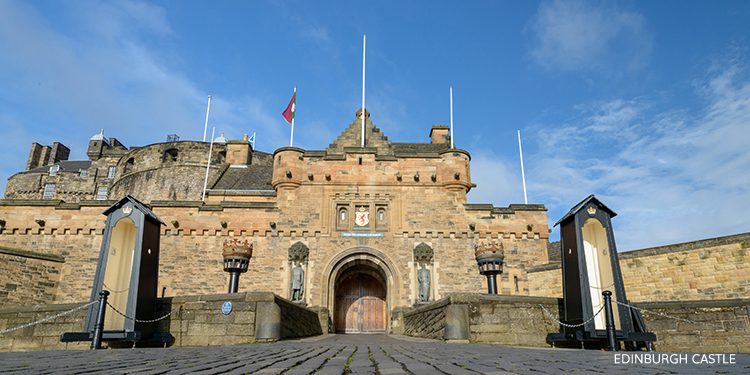 Upgrade your journey with a trip to Edinburgh Castle. It dates back to the Iron Age when warriors built a hill-fort there and has since been home to royalty. Time your visit for one of the live weapon displays or wander in the great hall to find historic treasures. Here, you can get up close and personal with hundreds of butterflies. Plus, there’s lots more to see, from the Nocturnal Zone, where you can see lizards, pythons and chameleons by infra-red light to the unsual world of the mini-beast in the Bugs and Beasties exhibition. 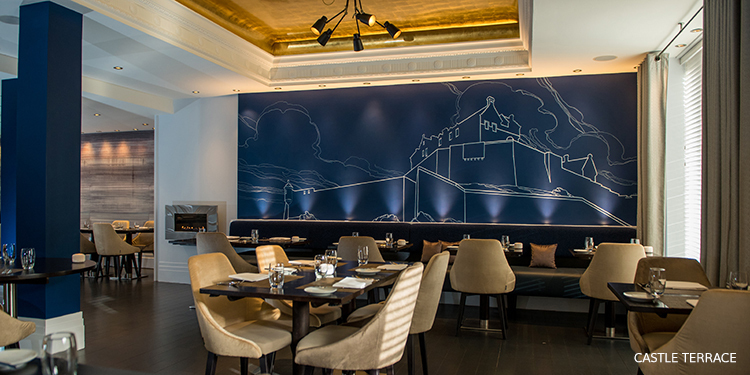 Castle Terrace is the place for Michelin-star dining. Save this for a special trip rather than just dropping by as you’ll usually need a reservation in advance. Their set lunch is delicious and includes mackerel tartare, Ayrshire pork with artichokes and local Blacketyside farm raspberries with white chocolate mousse. Time for a longer stop? Splash out at the Time Capsule Waterpark. Older kids can enjoy the waterslides and the Tsunami wave pool, while younger children will love the Cove Island area. Plus, it’s specifically designed for little ones so you can keep an eye on them. If you love sourdough, this Italian chain is the place to try. Families are very welcome and there’s a separate area for the ‘bambinos’. There’s a lot of choice, but order the Friarielli pizza with spicy Italian broccoli and Italian sausage and you can’t go wrong. Chill out after a long journey by heading to Mar Hall. You can play a round of golf or indulge in the luxurious spa. The resort is set in an Edwardian mansion and is all about luxury and the spa with its range of treatments is a tranquil spot for weary drivers. If you’re heading further north with the family in tow, grab a cup together at this lovely Scottish farm. It’s the perfect spot for some fresh air, whether it’s picking your own berries or meeting the piglets. After walking in the grounds, be sure to visit the farm shop for locally-produced car snacks. South Queensferry is a pretty village on the southern shore of the Firth of Forth. Wander down the pretty streets and discover plenty of history. Architecture buffs will love the three iconic bridges, including the red Forth Bridge. If you have time, book a boat tour of the Firth of Forth. This refined restaurant in Kinross-shire overlooks fishing lochans and green hills. But the menu isn’t as traditional as the surrounding – local ingredients are given an oriental twist. The sweet and sour Cantonese pork escalope and the grilled goat’s cheese with hazelnut crust are both highlights. This walking trail is home to Lochleven Castle and the prehistoric Orwell Standing Stones, so it’s about much more than just pretty landscapes. At 21km, you might not be able to cover the whole length, but you can choose a shorter section and still see lots. This castle is a hidden historic treasure, just outside of Perth. A lesser-known spot, it was once the country retreat of the wealthy Wemyss family in the 1500s and it’s since been well preserved, with its original wrought iron grilles to keep out enemies. If you have a long drive ahead, start with a divine breakfast at The Lovat Hotel. Luxury comfort food is on the menu here and there are plenty of Scottish treats to sample, from traditional black pudding to haggis caught from the hills. Make it a watery adventure at this amazing aquarium, with marine life from both the Scottish coast and more exotic locations, including the Amazon jungle. There’s the chance to walk through the longest underwater tunnel in the UK and if you book in advance, you can even get in the water with sharks! The owners at Unorthodox are really passionate about making coffee accessible, which is why they offer kits for brewing at home. They source their coffee from some of the best raw green bean importers in Europe and it’s worth a stop to press pause on your journey, just a mile from the M90. You’ll find the iconic Kelpies just off the M9. 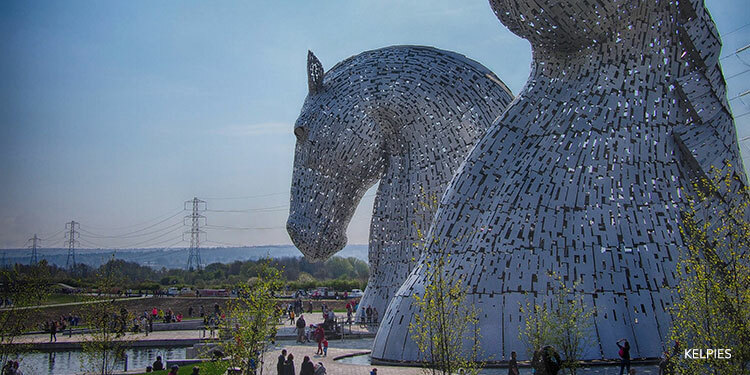 They’re the largest equine sculptures in the world and represent the strength of the communities in Scotland and the transformation of its landscape. Pop into the visitor centre next door to learn more about their heritage. Noah’s Ark is an eclectic entertainment centre with everything from a go-kart track to a ceramic studio. Let chidren burn off energy in the soft play area. The go-kart track is open to kids three years and above. Or take it slow in the family ceramic studio – ou might want to extend the detour once you’re there!